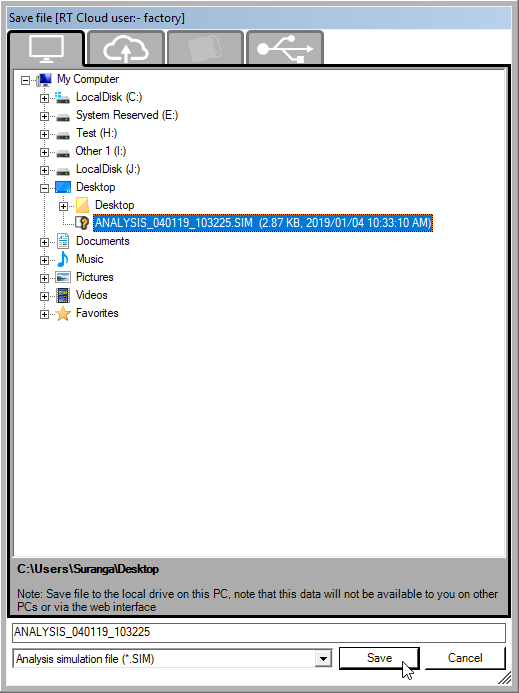 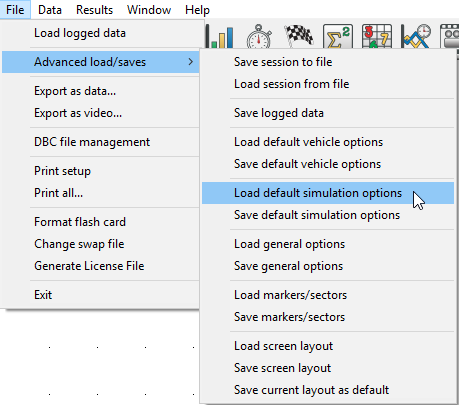 To load a previously saved Simulation Options file (.SIM), go to File > Advanced load/saves > Load default simulation options. 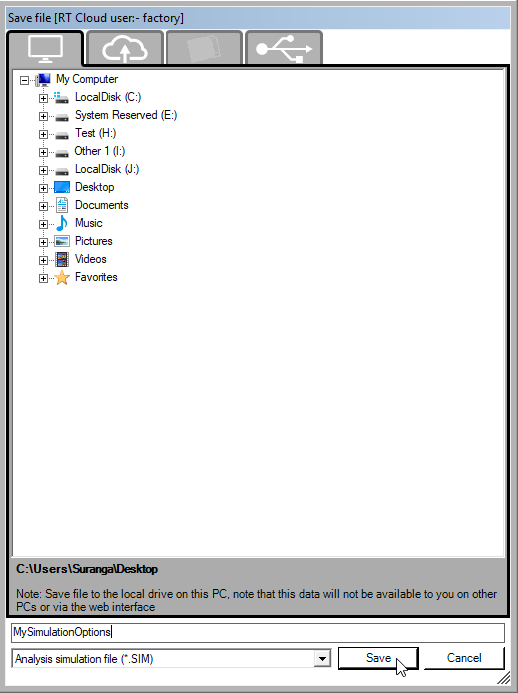 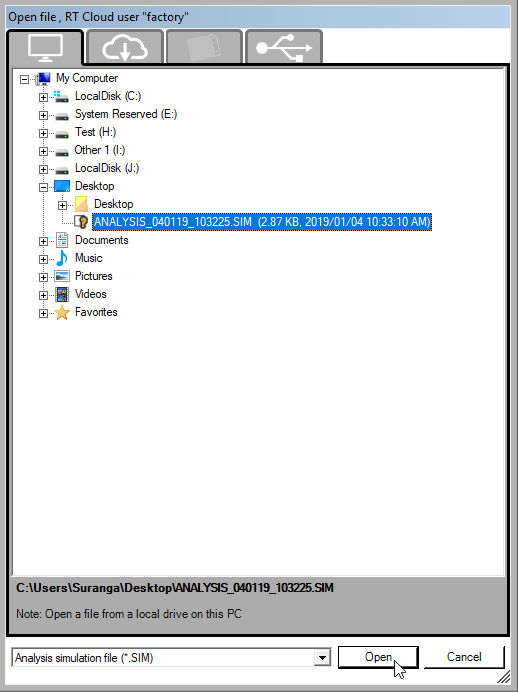 Select the file you want to load by left clicking on the file and click on "Open" to load the simulation options settings saved in that file to the analysis program. 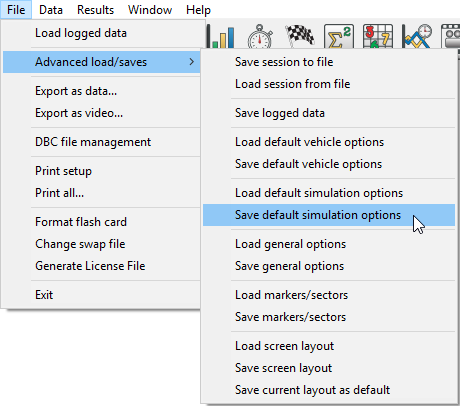 To save current simulation options settings to a .SIM file, go to File > Advanced load/saves > Save default simulation options.